The world's longest aircraft has been retired from service as developers prepare to start work on a new model. The £32m Airlander 10 - a combination of plane and airship - had completed six test flights before it collapsed to the ground in November 2017. Hybrid Air Vehicles (HAV), based in Bedford, said it had received Civil Aviation Authority backing to start work on a new craft. It is hoped the new model will take to the skies in the early 2020s. 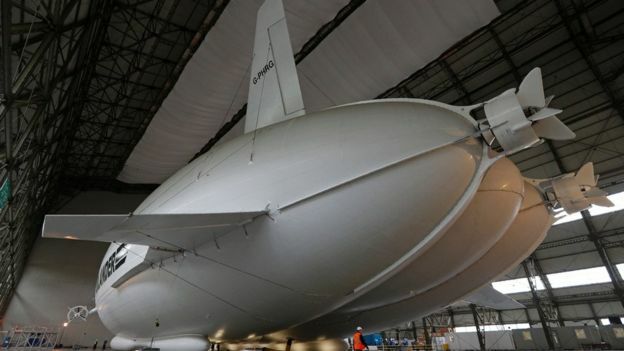 Stephen McGlennan, chief executive officer of HAV, said: "Our focus is now entirely on bringing the first batch of production standard, type certified Airlander 10 aircraft into service with customers. "The prototype served its purpose as the world's first full-sized hybrid aircraft, providing us with the data we needed to move forward from prototype to production standard. "As a result, we do not plan to fly the prototype aircraft again." 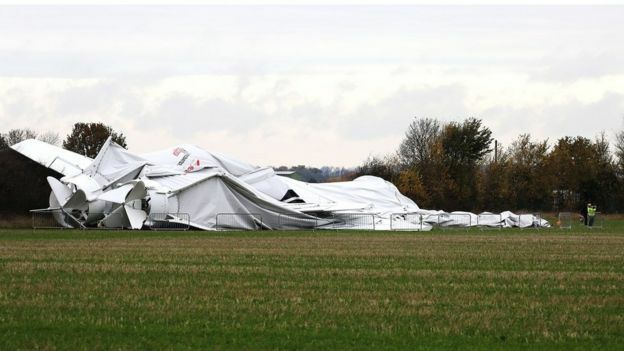 HAV submitted a £32m insurance claim after Airlander 10 collapsed, which it told shareholders was the "maximum insured value". The company said it had already had the design of the next airship approved by the European Aviation Safety Agency. It said this now puts them in a "strong position to launch production". 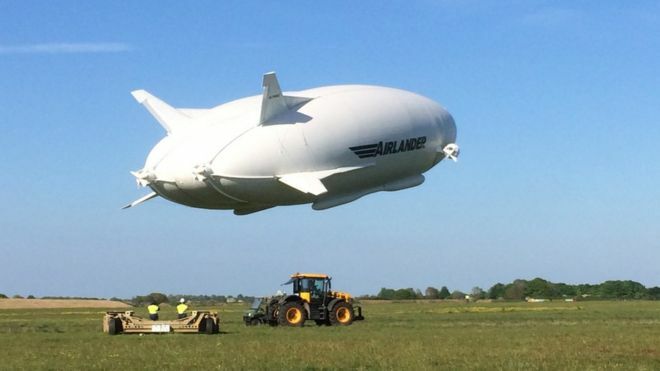 The company carried out its first test flight of Airlander 10 from its former home at Cardington Airfield in August 2016 but left the site in June last year. 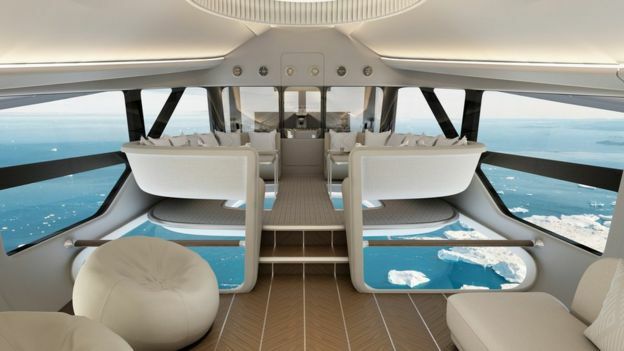 In July, HAV revealed that it is to offer "luxury expeditions" when the airship tests were completed. Are firearms allowed on board? I like the Sadiq Khan one. Surely the Trumpinstein is better superior. Longest undefended border in the world?